A native of Altadena, CA, grew up embracing the forms of the Craftsman Style which surrounded her. For two years Japan was her home while she studied weaving and sumie painting, all the while absorbing the subtlety and balance of the Asian esthetic. Now on Orcas she pulls from the beauty and inspiration around her, working with her students to refine techniques and bring new visions to life. 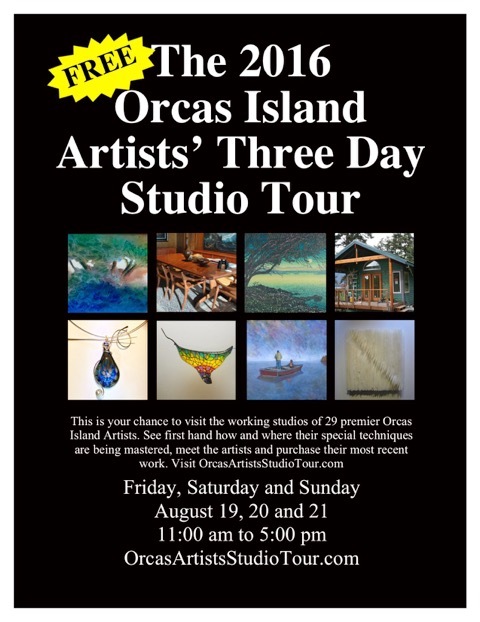 Mary Jane shares her custom-built studio with her husband, Bruce Wilson, an artist who ‘paints’ with thermal oil and wax and is Studio #7 in the studio tour guide. Come enjoy the work of two artists in this lovely space.